All transactions will get tracked at lower cashback and will get updated with the right amount during validations. Earnings from Expedia India can be redeemed as vouchers or in Bank account. Expedia Hotels Sale : Hotel deals under Rs.1,999 per night – Book now! Sample hotel prices are for the stated travel period per night, based on twin share of the lowest price room type, excluding taxes and other fees. Save on participating properties with savings as marked. All offers are subject to availability and change and may be discontinued without notice. Expedia Discount Offer on Bali Hotels : Indonesia offers 30 days visa free for Indian passport holders for tourism purposes. Search for hotels in Bali on Expedia.co.in. You can easily find your hotels in Bali using one of the methods below: View our selection of featured hotels in Bali. Use the map to find hotels in the Bali neighborhood you prefer. Use the filters to see hotels in a specific area of Bali, select a specific theme, brand, or hotel class from basic (1 Star) to luxury hotels (5 Stars) in Bali. Enter your travel dates to view the best deals on hotels in Bali - while they last. Expedia Discount Offer on Maldives Hotels : Maldives accommodation is grand by nature, each offering a reclusive retreat on a picturesque island. Many resorts are reachable only by ferry, but once you arrive you are treated to private beaches, clear blue water just off the shore, swimming pools, hammocks, and more. Some Maldives luxury resorts even offer overwater bungalows, letting you stay up close and personal with the sea while your worries wash away. You can find the perfect Maldives resort for you right here on Expedia.co.in, where we make it easy to find the best deal. Now book Maldives Hotels from Rs.3,778 & save more. Expedia Mumbai Hotels Discount Offer : Hotels in Mumbai vary from the luxurious to the budget-friendly, so you’ll always find somewhere to shack up within your price point. Lots of hotels in Mumbai are in high-rise buildings, though you will also find smaller accommodation throughout the capital of Maharashtra. Looking for a cosmopolitan experience? Book a stay in Nariman Point, which is considered the Manhattan of Mumbai. Book Mumbai Hotels from Rs.3,999 from Expedia & Save More. Expedia Paris Hotels Promo Offer : It's easy to fall for Paris. Even if you've never been, you'll probably have felt the attraction already; its beauty is no secret. Endlessly written about, painted, and photographed, Paris conjures up emotions for which adequate words and images simply don't exist. Whatever you have read, seen, or heard about the city, the most important thing you need to do is visit. Now book Paris Hotels from Rs.3,112 only & Save More at Expedia. Expedia Hotels Cashback Offers : Considering the buzzing energy of this capital city, it’s true that if London bores you it might be time to check your pulse. From a thriving theatre scene in the West End to thumping night clubs near Piccadilly Circus, London has something for everyone. Dive into the museums, take a tour of the historic Parliament building along the Thames, and savour a fine meal at any number of impressive restaurants. As if that weren’t enough, the Camden Lock and Portobello Road markets turn any lazy Sunday into an adventure. Book London Hotels from Rs.3,713 only. Expedia Discount Offer on New York Hotels : You might arrive in New York wide-eyed and a bit intimidated by the skyline, but you are sure to leave abuzz from the energy of the Big Apple and with memories to last a lifetime. In New York, the notion that there is something for everyone is more than just a cliché. Book New York Hotels from Rs.4,710 only at Expedia and save more. Expedia Chennai Hotels Offer : Despite the fact Chennai is one of the major Indian city destinations it often gets overlooked by tourists. The likes of Fort St George, varied museums, a busy festival calendar and clean beaches make Chennai an interesting place to visit. The city is also a big industrial centre and noted for its car and IT production. Industry has drawn foreigners to Chennai and it is home to the biggest community of foreign residents in India. Book Chennai Hotels from Rs.1,700 only at Expedia & save more on your travel. Expedia Cashback & Discount Offers : Sample hotel prices are for the stated travel period per night, based on twin share of the lowest price room type, excluding taxes and other fees. Save on participating properties with savings as marked. All offers are subject to availability and change and may be discontinued without notice. Expedia Cashback Deals : Last-minute flight deals from Rs.3,439 only. Last-minute hotel deals from Rs.1,100. Last-minute flight deals from Rs.2,974. Last-minute hotel deals from Rs.1,344. Get the best last minute deals with Expedia! On this page you will find the most popular last minute offers at amazing prices. Book your last minute holiday deal today and save money on last minute flights, last minute hotels, last minute holidays and last minute packages. With Expedia's great prices, services and numerous choices you are guaranteed a fantastic late holiday deal. Expedia Daily Deals – Hot deals for 24hrs only! 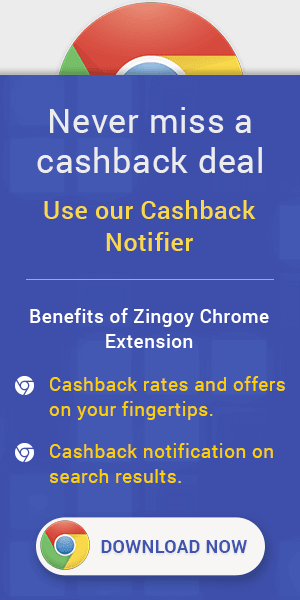 Expedia Cashback Offers : Expedia Saving Offers for All Users on Hotels & Flight Booking : These scorchin' deals change daily at 12:00 AM (India Time). Check the page every day to uncover new deals. *Hotel only prices are for the stated travel period, based on twin share and include taxes and fees. Sample prices are subject to availability. Prices are per night based on twin share and include taxes and fees. Deals may change or be discontinued without notice. Hotel-specific conditions may apply and are notified prior to booking. Additional restrictions including minimum stay, blackout dates, available room types and advance purchase may apply. Expedia Free Extras Offer on Hotels Booking : Now you can get even more with your hotel stay with Expedia Free Extras. Get over 40 Free Extras like: Late checkout, Resort credits, Free parking, Room upgrades, Premium Wi-Fi, Food & beverage credits, Free breakfast, Spa credits, Early check-in and many more. Expedia Free Extras are special offers added to your stay for free that you would normally pay for. They’re pre-selected, guaranteed by the hotel and available to everyone.